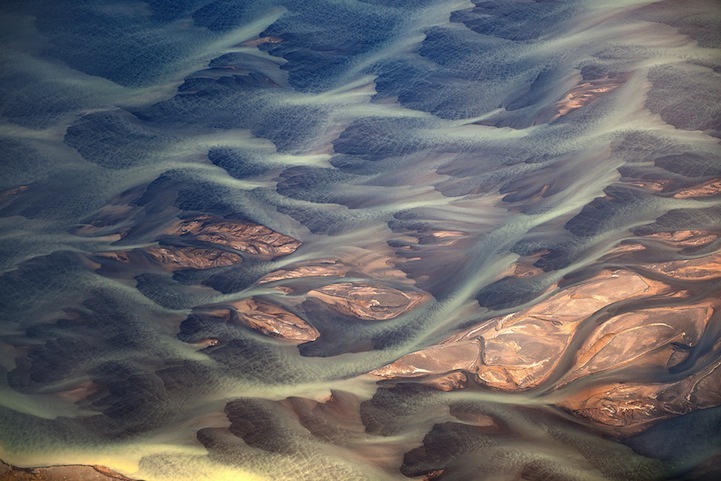 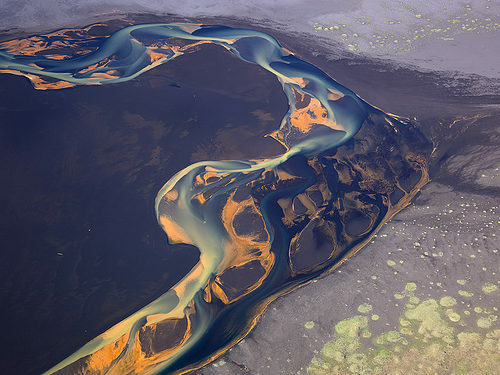 Aerial photos of rivers flowing through Iceland’s volcanic ash by photographer Andre Ermolaev: "Iceland is a wonderful country; I would even say that it is a true paradise for all the photo shooting-lovers. 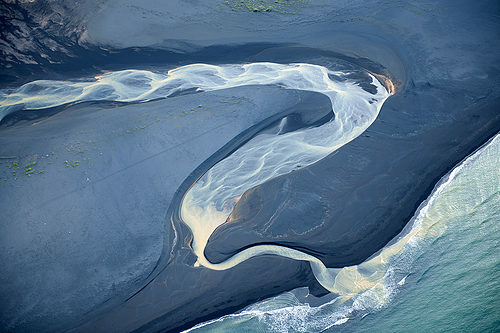 But what has become a real discovery for me is the bird’s eye view of the rivers flowing along the black volcanic sand. 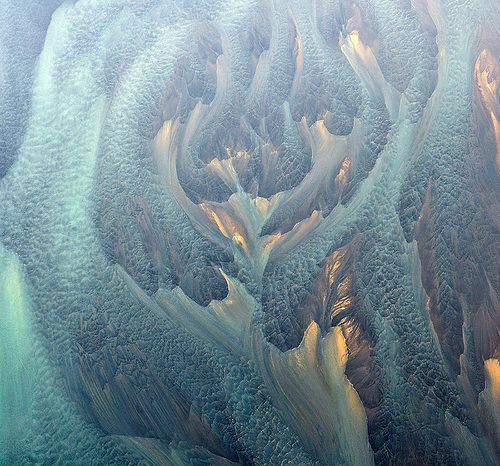 It is an inexpressible combination of colors, lines, and patterns. 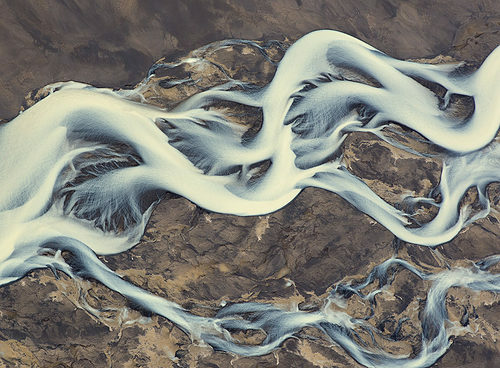 The photo represents the mouth of the river falling into the ocean."